ITS taken 75 years but work's underway on getting guests into the world's biggest and most bizarre resort whose extraordinarily 100 six-storey blocks to house a mind-blowing 20,000 holidaymakers stretch 4km along a beach on the Baltic Sea, and have lain largely deserted since being built three-quarters of a century ago. And it was built not by some massive multi-national resort or hotel company – but by Adolf Hitler. Begun in 1936, the sprawling resort along a magnificent white-sand beach on the island of Rügen, was the first of five that Hitler fashioned along the lines of Britain's Butlins Holiday Camps to offer affordable holidaying for German workers. 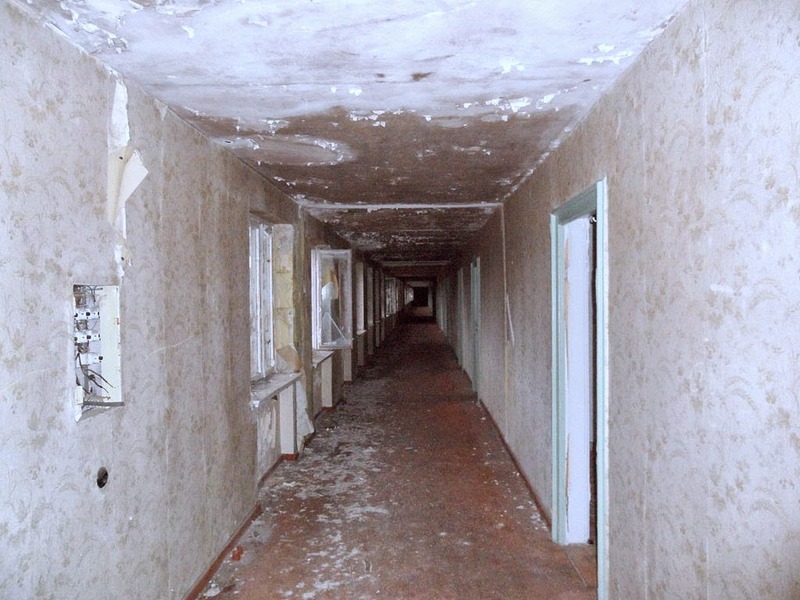 Called Seebad (Seaside) Prora and completed in 1939, it never officially opened to guests as Hitler invaded Poland and WWII began just weeks before the first holidaymakers were to check-in. And weirdly it's been basically empty since, apart from several rooms converted into holiday flats some years ago, a 400-bed youth hostel the local council opened in several blocks in 2011, a little warts-and-all museum of the Nazi era, and a small off-beat art gallery that's been dubbed "Beatnik Berlin" – that ironically is the exact free-expression type thing that Hitler's Nazis so vehemently hated. 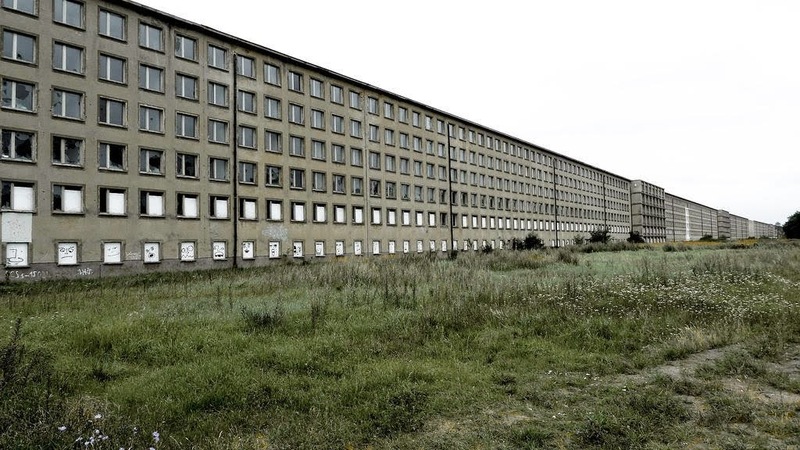 Hitler's concept for Prora was three-fold: he would use thousands of the worryingly huge mass of unemployed in 1936 to build it, it would provide cheap and affordable holidaying for Germany's working classes – and although promoted as a 'Seaside Resort for the Common Man,' daytime activities would be largely orchestrated with Nazi-approved exercise programs, 'educational' courses that pushed the Nazi cause, and night-time 'entertainment' that would be pure Nazi propaganda. The enormity of the resort, dubbed by locals The Colossus, numbs the mind. All 100 of the six-storey blocks, which are in turn grouped into eight larger major wings, are inter-connected by corridors up to 1.6km long, requiring an hour to walk from the first block to the last. 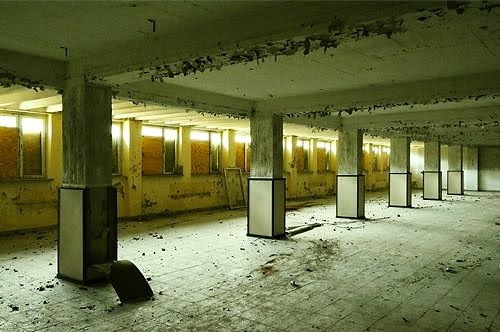 Prora was to offer over 10,000 rooms, all exactly alike and measuring 5m by 2.5m with central heating, two single beds, a wardrobe and a hand sink, and all facing the sea just 150m away – with vast communal shower and toilet facilities and the inter-connecting corridors on the inland side of all 100 blocks. 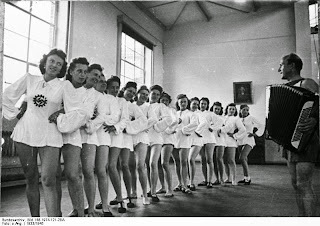 There were also cinemas, swimming pools, a school for children of resort staff, a hospital, a ballroom for each of the eight wings, vast dining rooms that could each seat a thousand at a sitting, a post office, and a huge jetty for another of Hitler's ideas – a 2-ship cruise fleet that sailed the Mediterranean under his Strength Through Joy propaganda organisation from 1937 to supposedly reward German workers, but in truth to brainwash them. 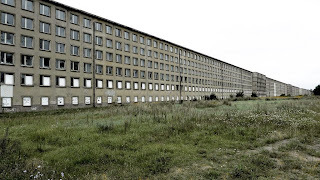 One project never completed at Seebad Prora, however, was a massive meeting hall that would seat all 20,000 happy campers at one time for more Nazi propaganda lectures and programs. 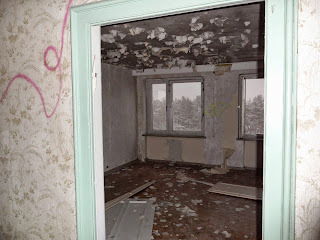 After the war, the island of Rügen became a part of the 'Russian sector' and Prora taken over by the Russian Army which occupied, and largely stripped it, over ten years to 1955. Now two wings have been sold by the government and are being converted by separate developers – not like Hitler's concept for workers, but as the best of luxury hotel rooms and private apartments. And in one of the finest locations on the Baltic. 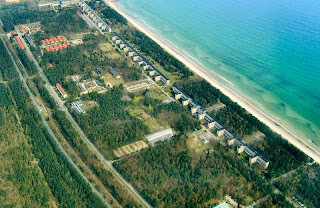 For here the sea is virtually tideless and most times resembles more a calm lake than the open ocean, the region enjoys temperatures warmer than the North Sea for summer holidaying, and Seebad Prora stretches along one of Rügen's finest beaches. When the first blocks went to auction they sold for E2.8m (approx. AU$4m and three times the reserve,) with the buyer currently converting them to a 400 room luxury hotel and several hundred luxury apartments that will all open in 2015. The second developer bought a smaller number of blocks and is converting these to sixty luxury apartments, also to open next year. Prices will range from AU$200,000 to a near AU$1m each.